This urban church design provides a new building that addresses a large north-facing plaza, which transitions seamlessly into a church café and foyer space. Once inside, the visitor’s eyes are drawn to the central courtyard, which visually links all the Church’s functions across two levels. As a new addition to DKO’s portfolio of contemporary church architecture, Kingston City Church is an expression in built form, of the Church’s inviting and open nature. This urban church design provides a new building that addresses a large north-facing plaza, which transitions seamlessly into a church café and foyer space. Once inside, the visitor’s eyes are drawn to the central courtyard, which visually links all the Church’s functions across two levels. This courtyard ensures every room has access to natural light, including the auditorium, which also presents the opportunity for large outdoor concerts on the plaza. 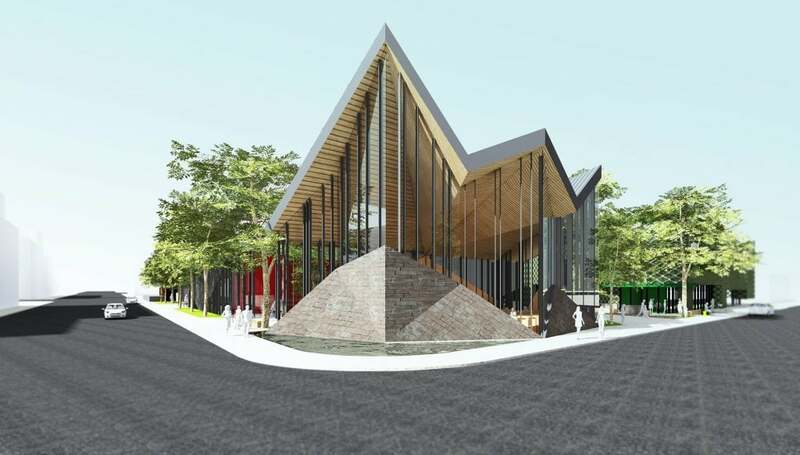 Faced with a challenging site, with busy road frontages on the east and south, DKO created church master plan that provided an introspective building with glazing directed to the west and north facades and the central courtyard. A robust brickwork envelope anchors the building at ground level, while distinct apertures and expressive signage on the facades signify the building’s purpose, without the use of religious iconography. 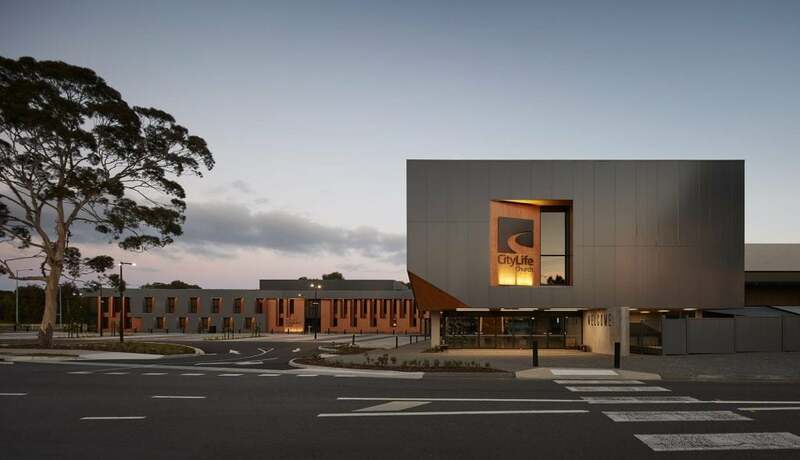 In addition to the new 600-seat auditorium, children’s service spaces and staff offices, the new multi-purpose religious building provides a space for a non-denominational community centre, Emergency Resources, which distributes food parcels, clothing and words of encouragement to anyone in need of practical assistance.